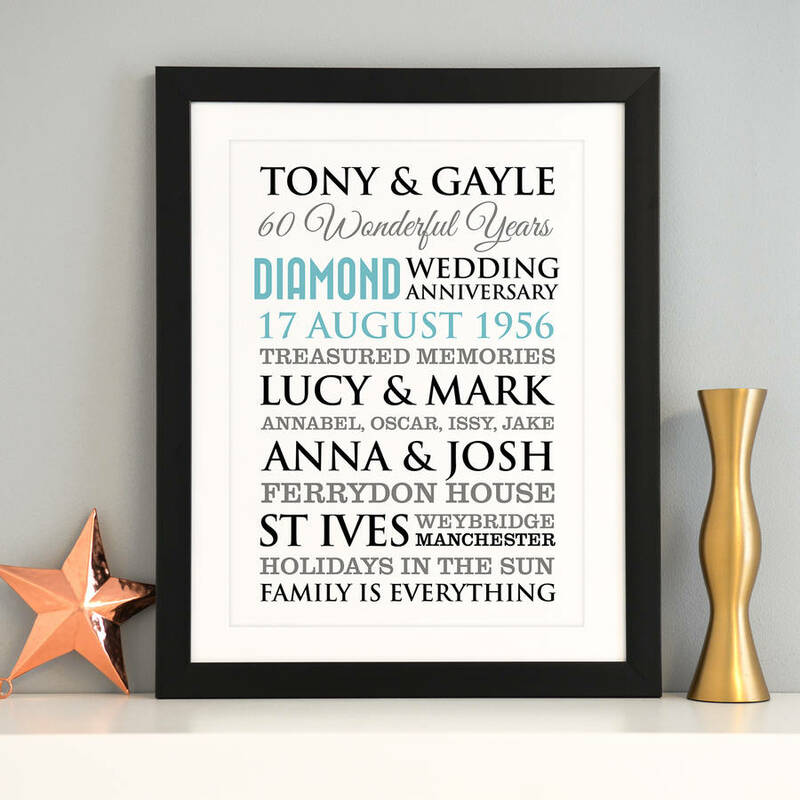 Capture your years together with this simple, yet stylish piece of typographic art to commemorate a landmark anniversary. 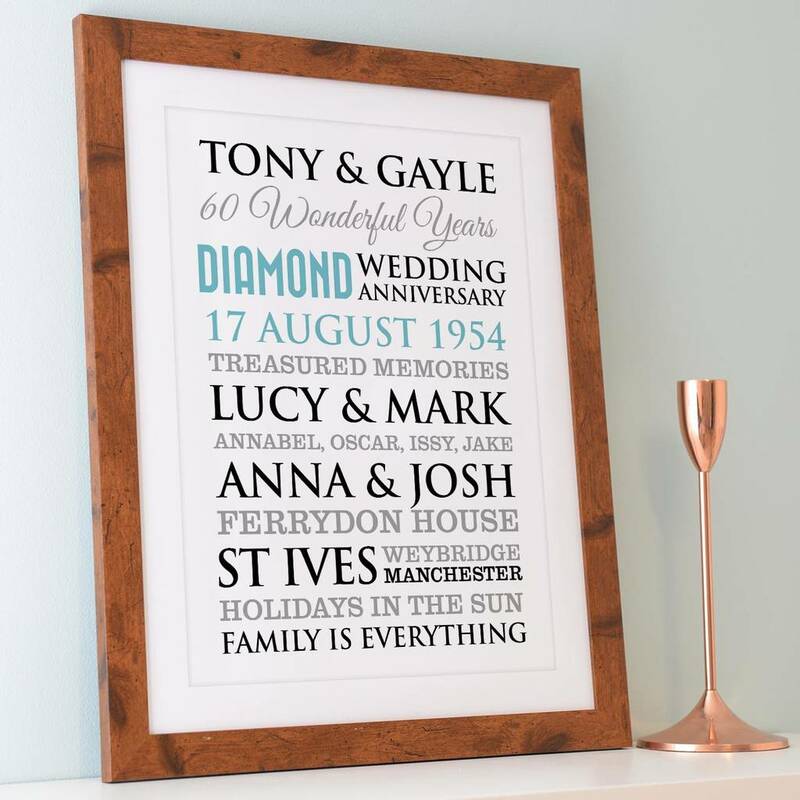 What do you give the couple who has everyhing? 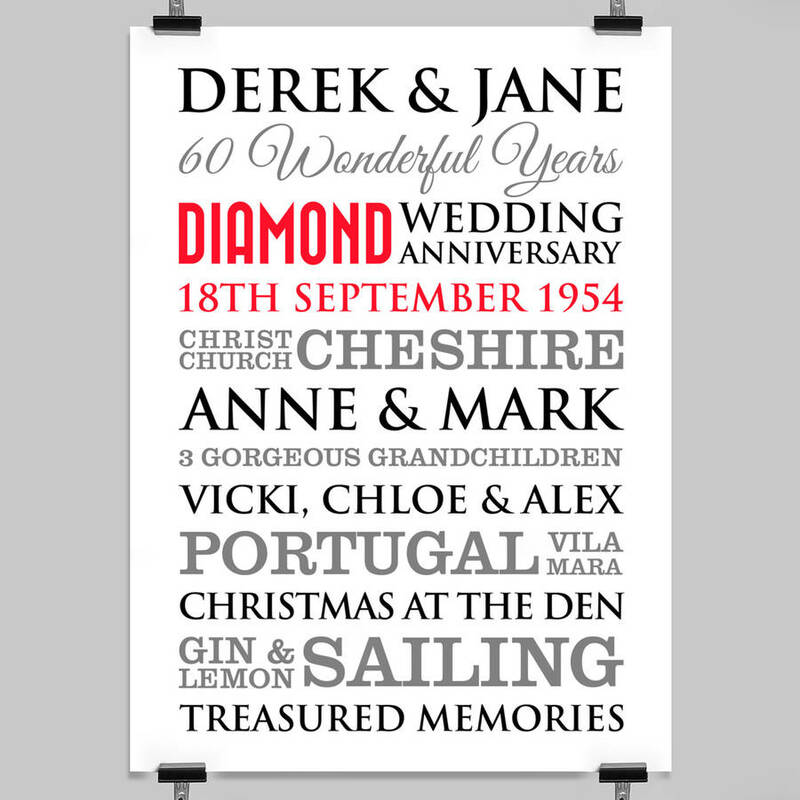 Celebrate their landmark 60th wedding anniversary with this beautiful piece of unique and personalised art. WE WILL ADD THEIR NAMES ON THE TOP LINE, followed by 60 WONDERFUL YEARS on the 2nd line, and DIAMOND WEDDING ANNIVERSARY on the 3rd line. The remaining 9 lines are totally up to you! 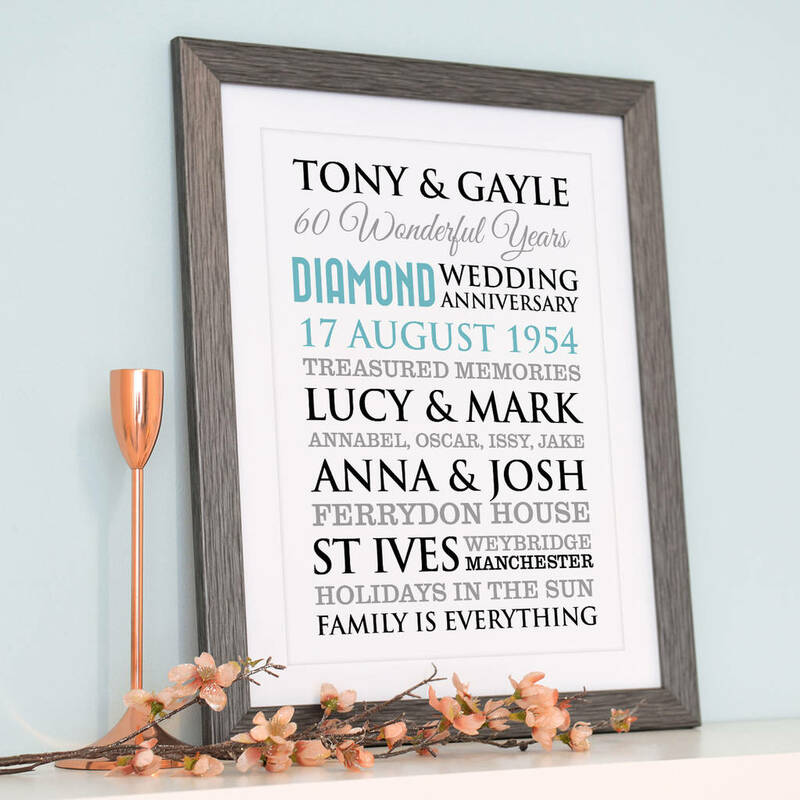 You can add their wedding date and venue, holiday destinations over the years, children's names, grandchildren's names, houses and places lived, favourite things, just about anything that is meaningful to them and their 60 years together. Please separate your words/phrases by a comma so we know what words should be kept together. 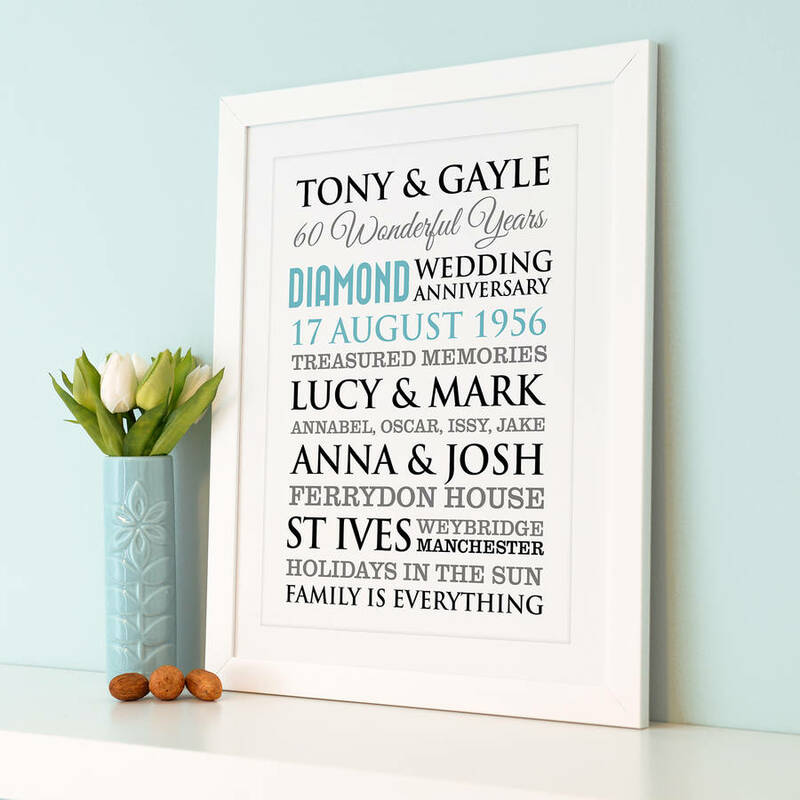 There are 2 colour options - red, black and grey text on a white background or duck egg blue, black and grey text on a white background. 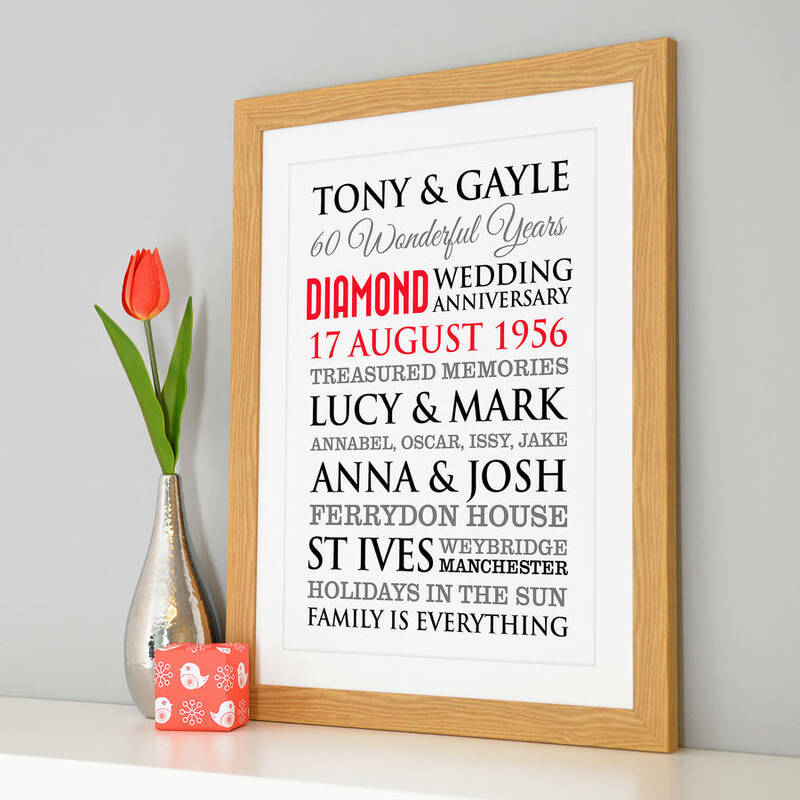 This design comes in 3 finishes: an unframed print, a framed print and a stretched canvas. 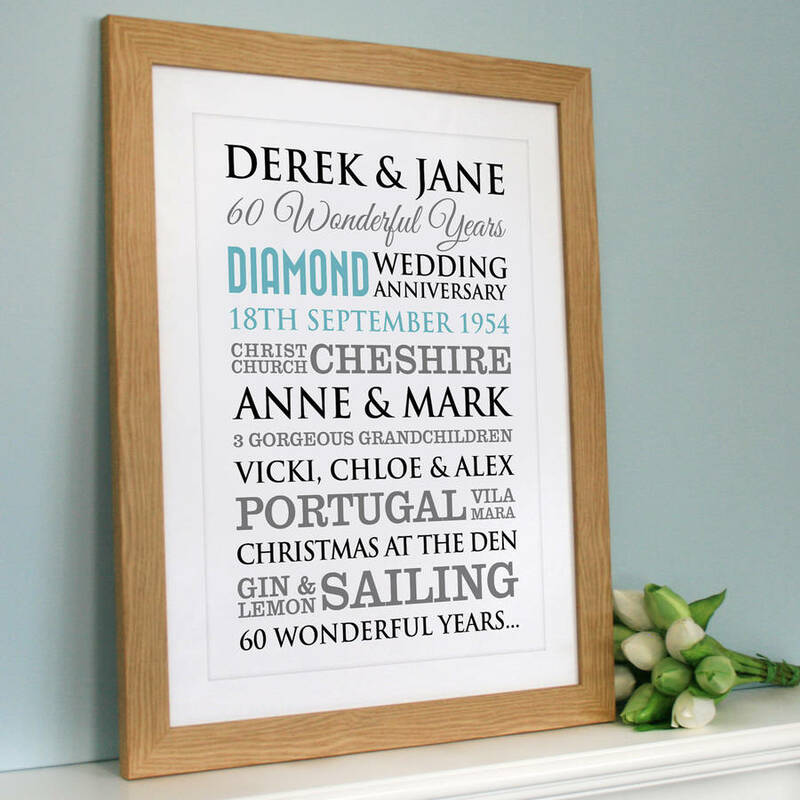 Unframed Prints: Printed onto high quality photo satin paper, ready for you to frame yourself. They will be sent rolled in a postal tube. Unframed prints do not come framed. Framed & Mounted Prints: These are printed onto high quality photo satin paper. This is then professionally mounted onto thick card to prevent the print buckling in the frame. Our frames come with clear acrylic, not glass. The frame is 3cm in depth. Wall fixings are supplied. The print does not come with a mount, but is printed with a "mount effect" on the paper before it is framed. The composite frames come in 5 colours: black, white, pine wooden effect, heritage wooden effect and grey.